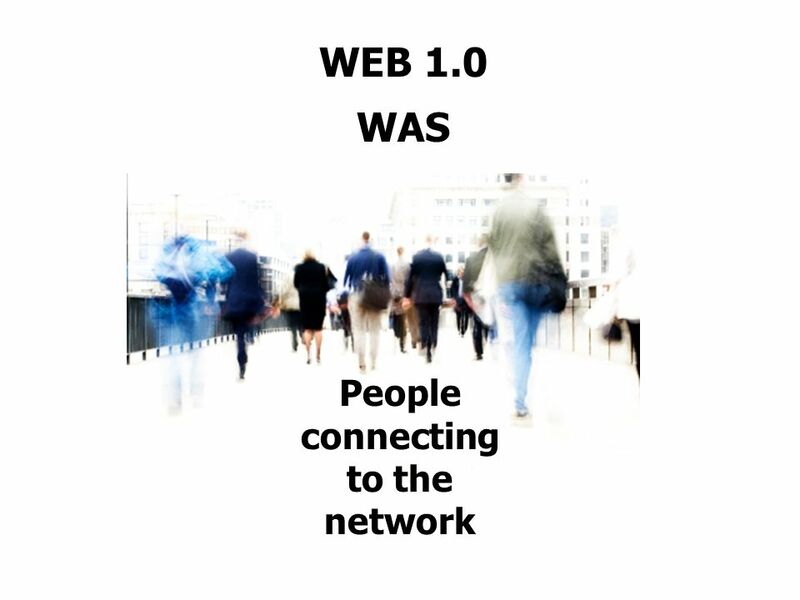 At first the Web was just reading. 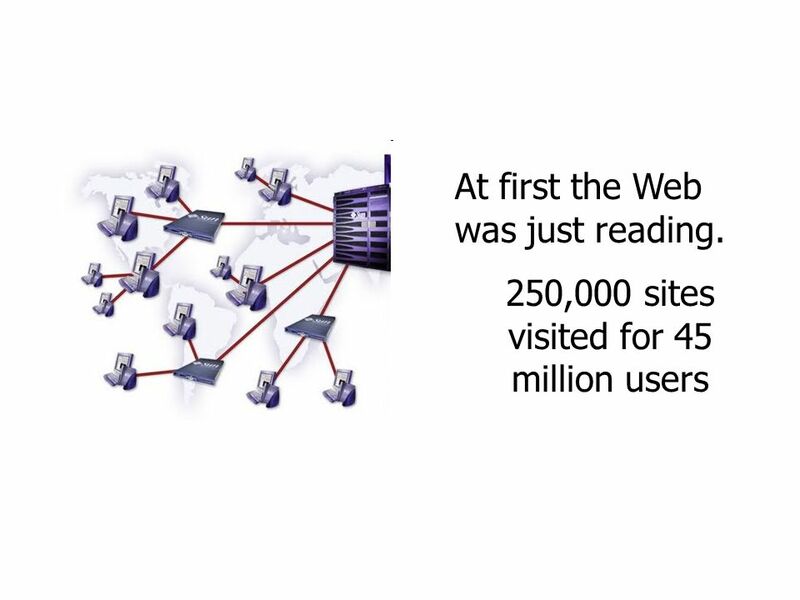 250,000 sites visited for 45 million users. 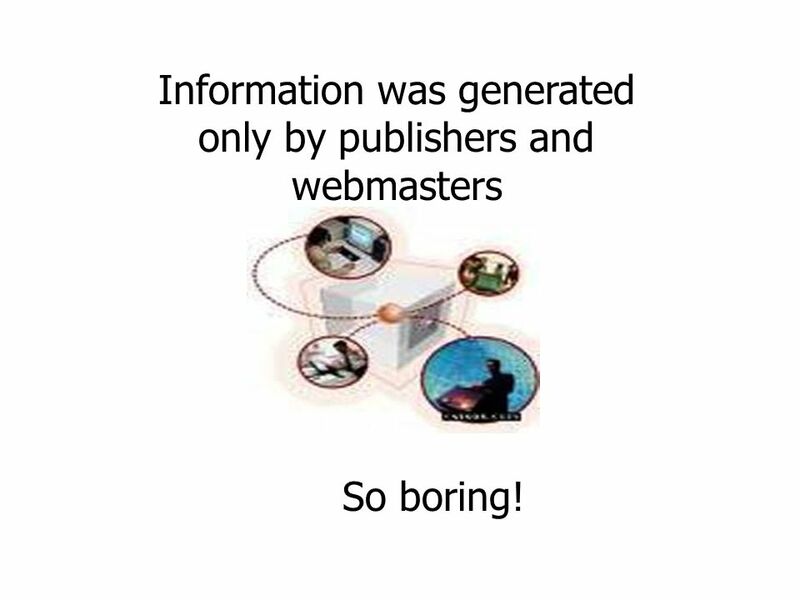 6 Information was generated only by publishers and webmasters So boring! 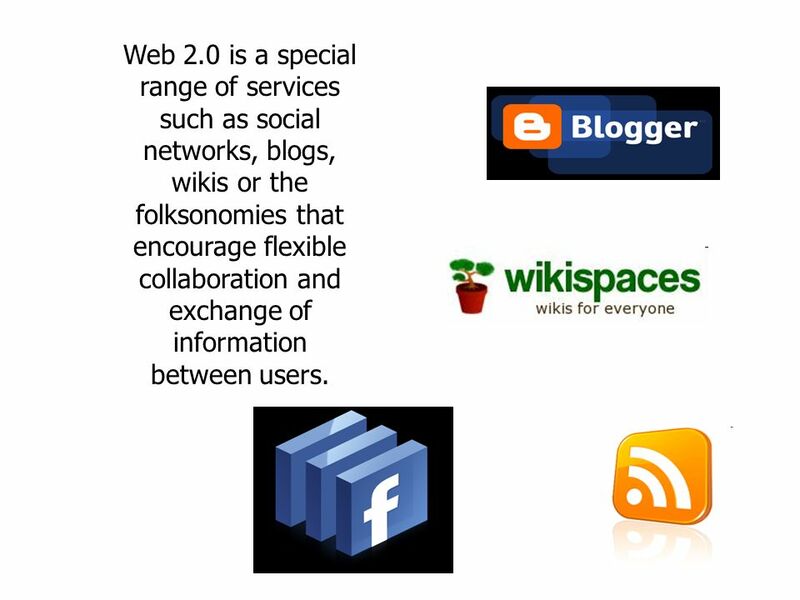 9 Web 2.0 is a special range of services such as social networks, blogs, wikis or the folksonomies that encourage flexible collaboration and exchange of information between users. 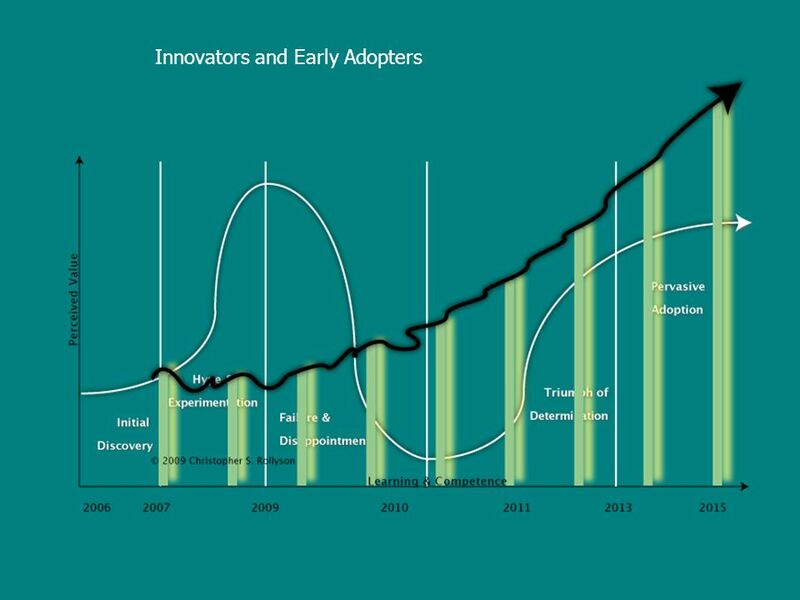 11 1989 WWW 1995 1998 Web 2.0 timeline 1999 2001 2003 2004 2005 2006 2008 2007 Web 2.0 encompasses a range of technologies. 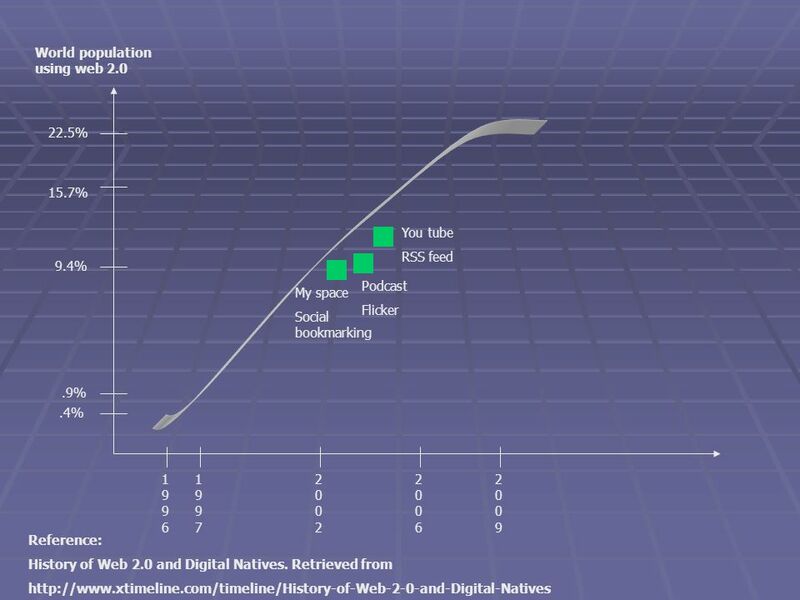 The most used are blogs, wikis, podcasts and social networks. 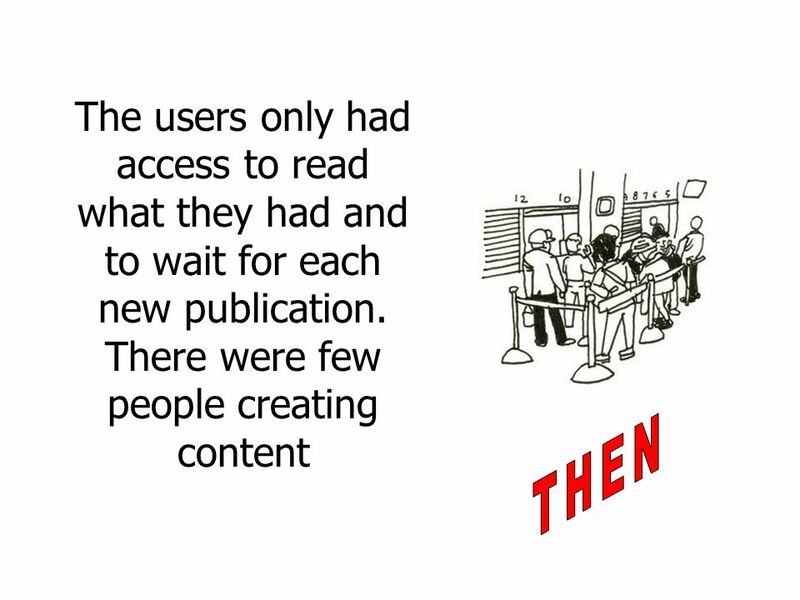 Download ppt "At first the Web was just reading. 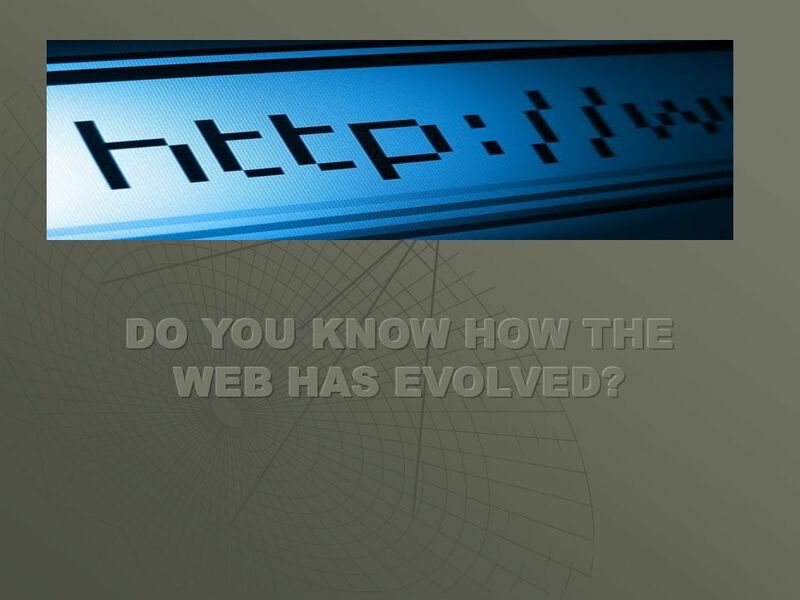 250,000 sites visited for 45 million users." Welcome to Windermere Offices are locally owned and neighborhood oriented Experienced agents and multi-faceted marketing programs for every market segment. Keeping Up With Technology Internet Resources. 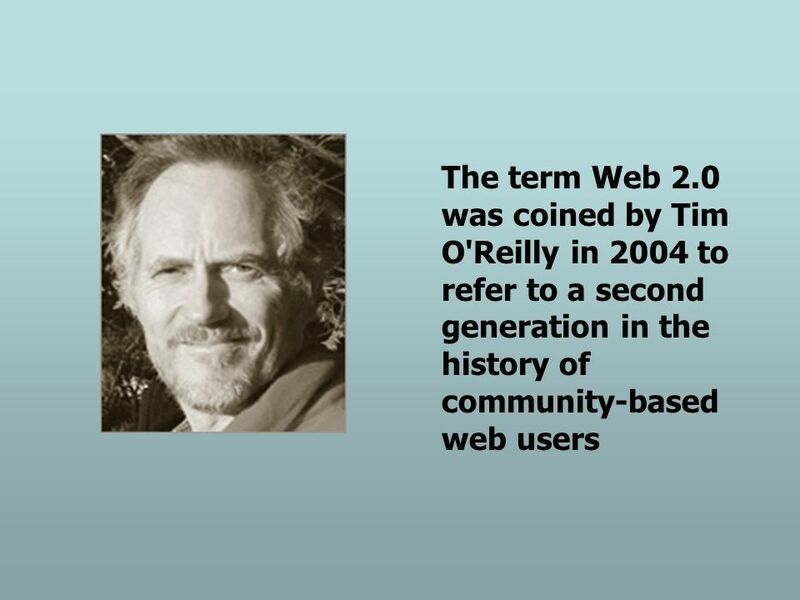 Web 2.0 Term coined in 2004 by Tim OReilly Meaningless buzzword? 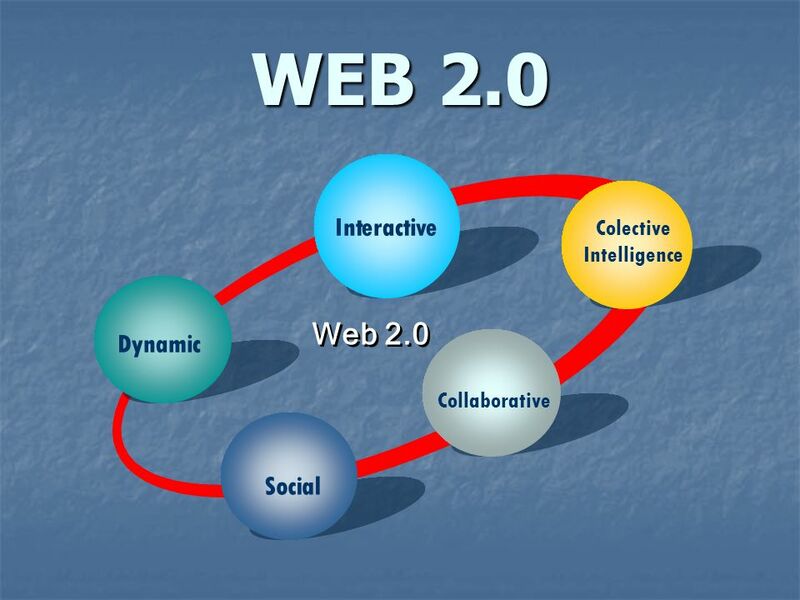 Definition: Web 2.0 is a term often applied. Web 2.0, Library 2.0, Librarian 2.0 Stephen Abram VP Innovation, SirsiDynix OLA, February 4, 2006. 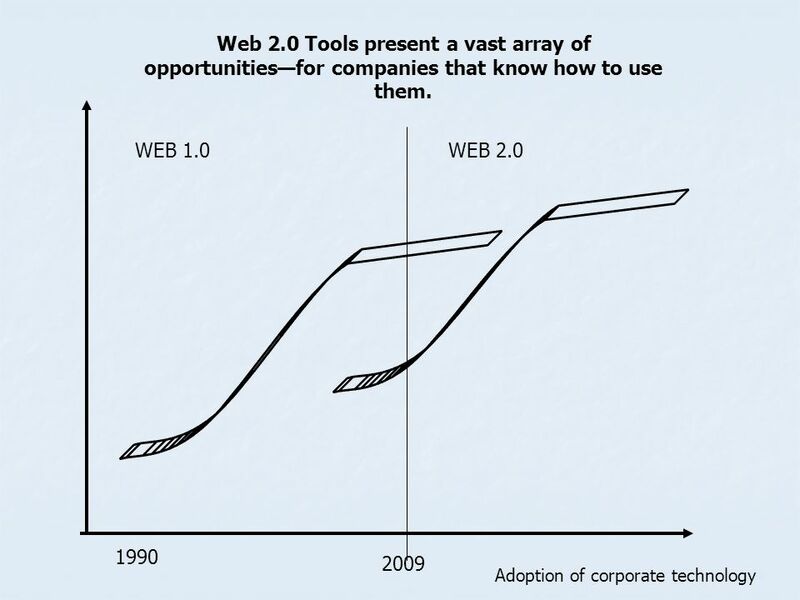 Web 2.0 MIS XLB.B Jack G. Zheng May 27 th Evolution of Web Pre-web (before 1990) Early web (1990s) Dynamic web (since late 1990s) Infrastructural. 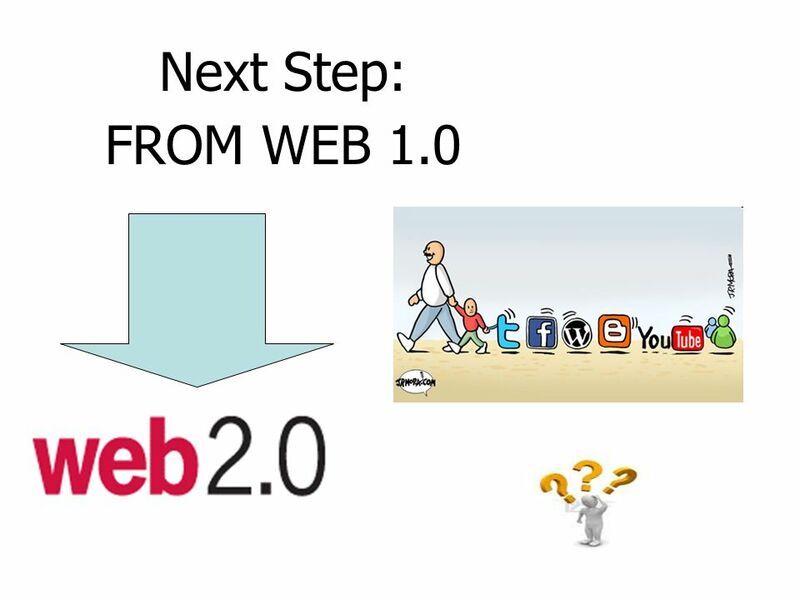 Web 2.0 and Social Media 101. 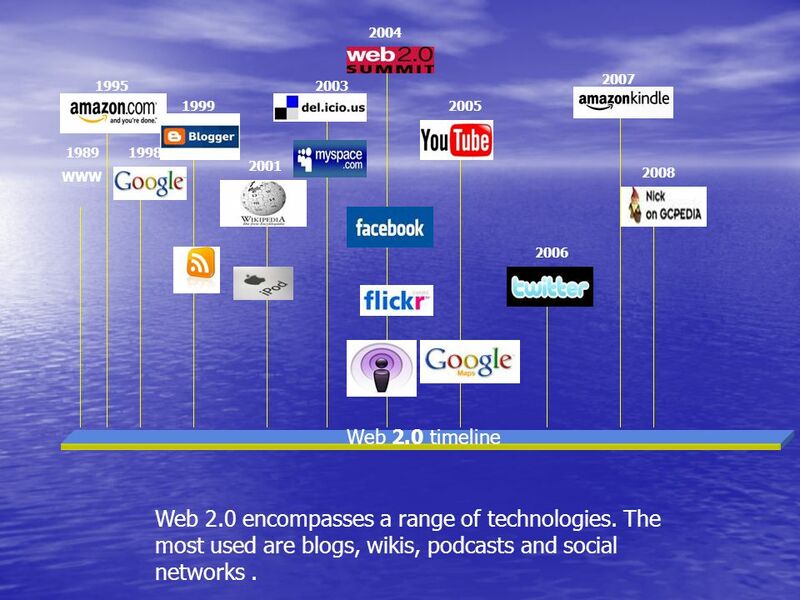 What is Web 2.0 and Social Media? 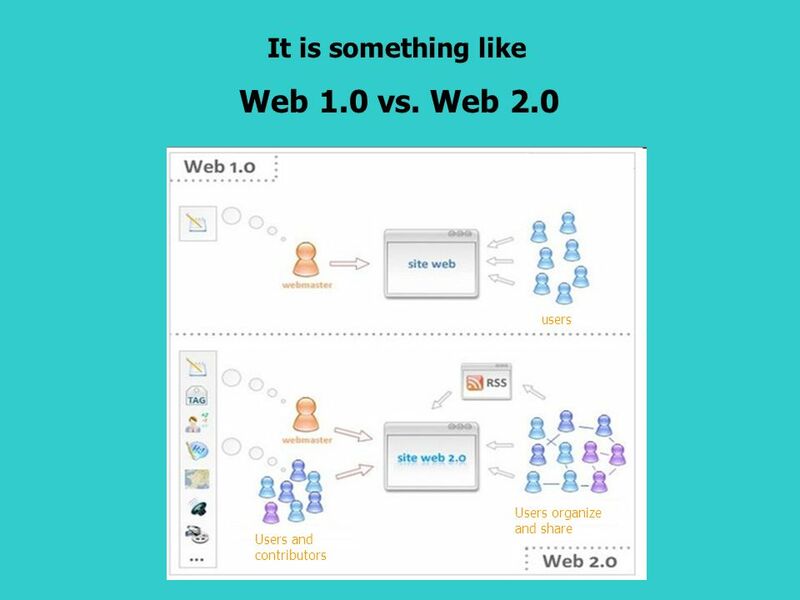 Web 2.0 is a way of thinking about how knowledge is created, shared, managed, and leveraged. Metadata Quality Assurance : The University of North Texas Libraries Experience Daniel Gelaw Alemneh & Hannah Tarver 3rd annual Texas Conference on Digital. Company LOGO How to Use Wiki's, Blogs, and Podcasts to Improve Student Learning Outcomes Fran Lukacik, MS, RD, LDN, CDM, CFPP November 15, 2007. 1 Opportunities and Challenges of Social Computing Kirsti Ala-Mutka European Commission, JRC Institute for Prospective Technological Studies Information. Mark Levene, An Introduction to Search Engines and Web Navigation © Pearson Education Limited 2005 Slide 1.1 Chapter 1 : Introduction The World-Wide-Web. Catherine Grant School of Media, Film and Music University of Sussex. 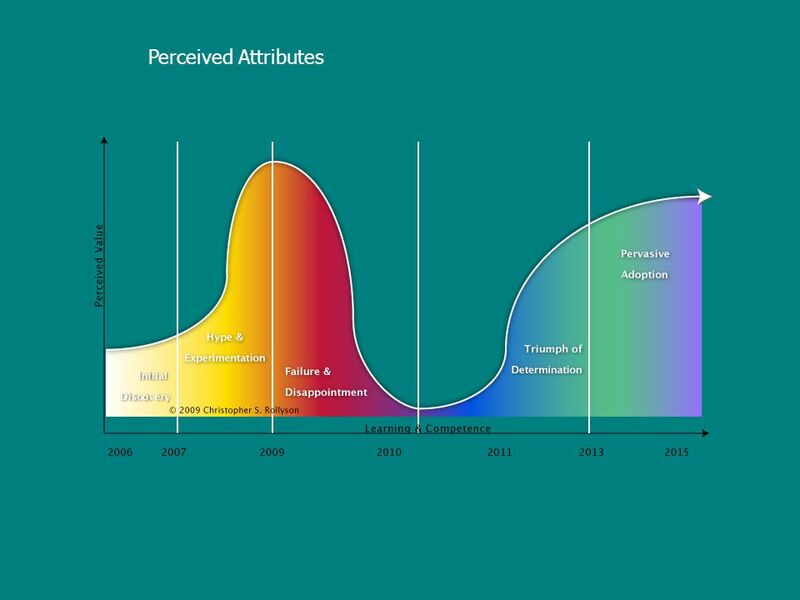 Scary, interesting, fun, creative, Exciting! Community & Information Portal for Engineers. Presentation by Sebastian Olényi for English, ESBS, 12/11/2007 Web 2.0. Dave Chaffey, E-Business and E-Commerce Management, 4 th Edition, © Marketing Insights Limited 2009 Slide 1.1 Introduction to e-business and e-commerce. 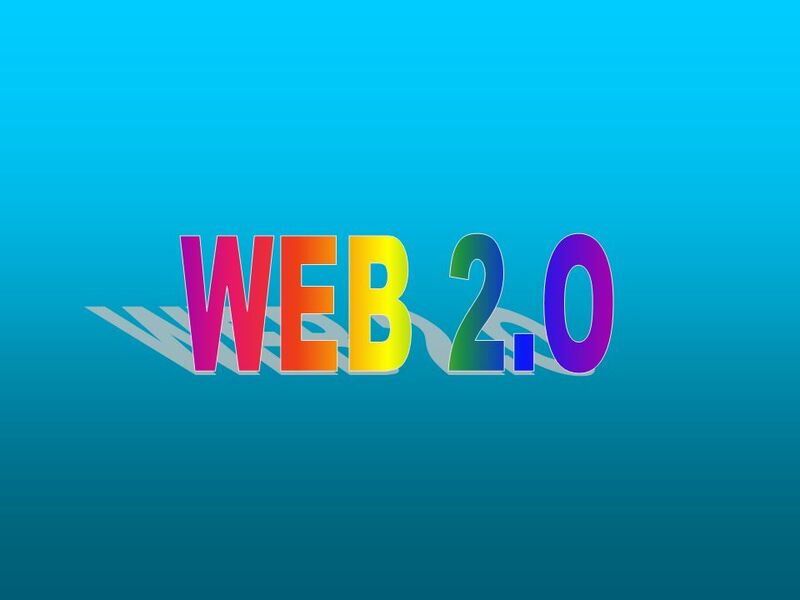 Web 2.0 Tools and Project Based Learning April 20, 2008 Kim Peacock, B.Ed., M.Ed.